Oh, it’s Steam sale time again? Well, here’s my obligatory post. 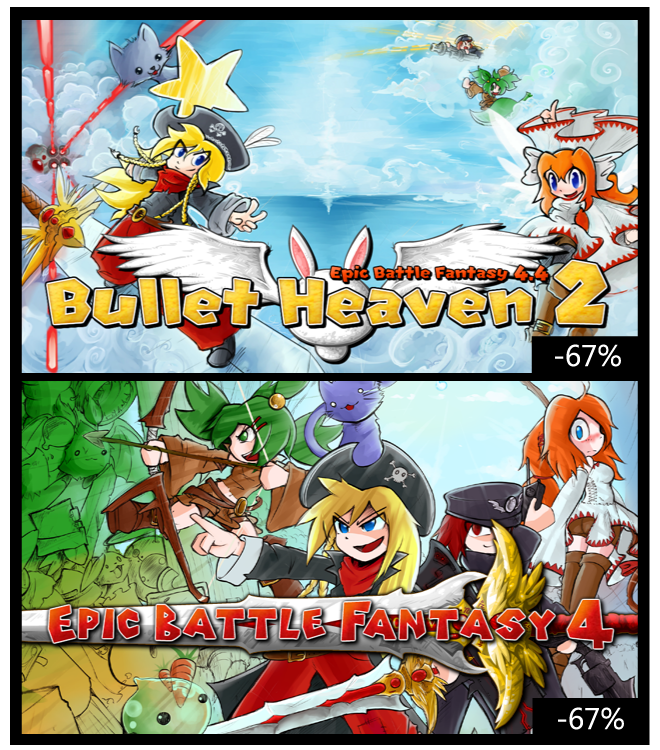 Epic Battle Fantasy 4 and Bullet Heaven 2 are 70% off, and I’m sure everyone reading this already owns them by now, right? And just so you know, they’re gonna be 70% off in the Winter sale. So you can get them later too. 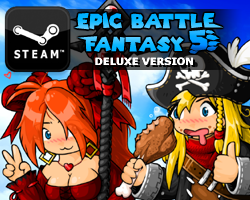 This entry was posted in Bullet Heaven 2, Epic Battle Fantasy 4 on November 23, 2017 by Matt Roszak. Thank you! I wanted to buy them, but wasn’t sure if the sale would happen this year, and I’m supposed to be saving for college! 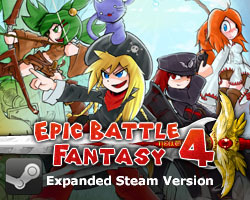 I better finish my Steam Account, because I am buying these, and EBF3, and EBF5 when it comes out! Just bought them before helping with Thanksgiving Dinner, no regrets! Not likely at this point.